Missouri has 161 designated opportunity zones, including 153 low-income communities, plus 8 non-low-income contiguous tracts. 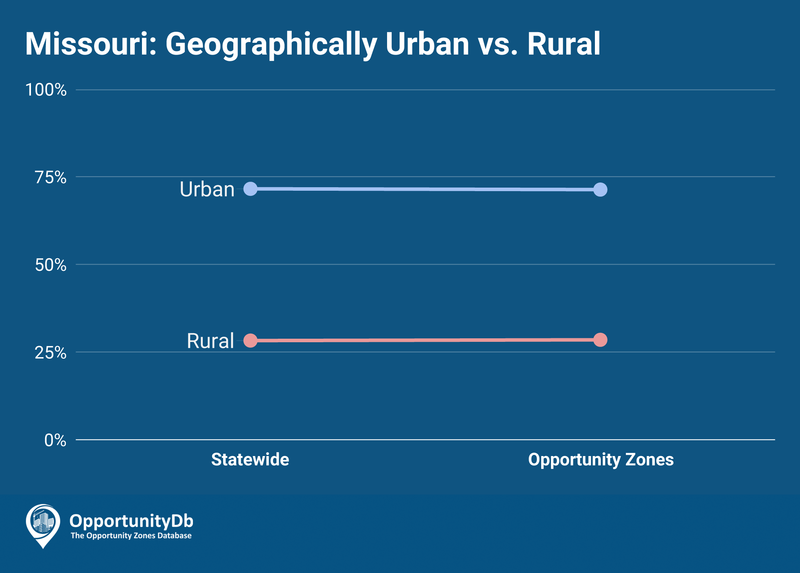 Missouri’s opportunity zone urban-to-rural ratio is nearly identical to the statewide ratio, with urban tracts representing 72 percent of the statewide total, and 71 percent of the opportunity zone total. The state’s two largest cities are well represented, with St. Louis being home to 41 opportunity zones, and approximately two dozen more located in Kansas City.